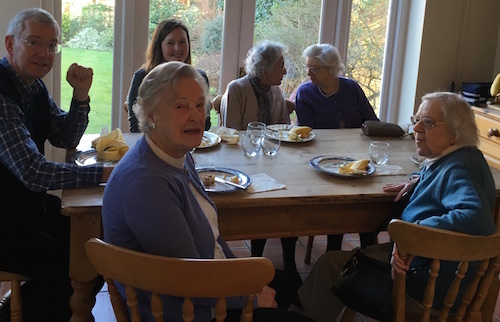 Our older members and their carers are an important part of St Mary’s whether able to attend church or not. We have a variety of ways to enhance this ministry. Home visits by members of the pastoral team can be arranged. Holy Communion can be brought to those unable to get to church. Contact or 020 8946 2605 or the Rector, Revd Mandy Hodgson, on 020 8946 2830. 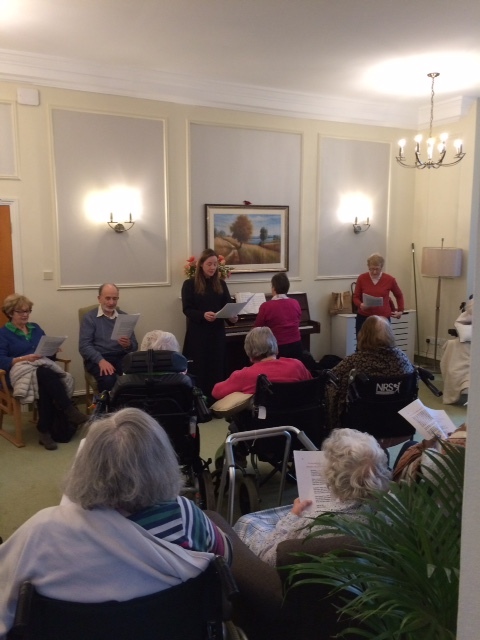 We hold services approximately once a month in the 2 care homes in our area; Heathland Court and Lee House. Room visits can be arranged to any who cannot attend. Contact for Heathland Court is Mrs Johanna Hearn: or phone messages may be left with the Parish office on 020 8946 2605. We aim to stay in touch with members who are housebound or who are obliged to move out of the area for care. We can do this by sending cards, the latest church magazine or arranging phone calls from time to time. Contact Jenny on or the Rector on 020 8946 2830. Prayers can be offered on behalf of those of any age who request them in two ways. Names can be read out at church services and daily prayer. There is also a confidential list circulated to those who have volunteered to pray privately at home for individuals or situations. Joining in this is also a way in which the housebound can offer a very useful service for others. Contact the Rector on 020 8946 2830 or Jenny on 07703 578 022 / . Regular lifts to the 9:30am Sunday service and the 10:30am Traditional Communion service on Thursdays are possible but due to shortage of volunteers the number has currently to be limited. We are hoping to expand this once more volunteers come forward. For further information please contact the Rector. Every Tuesday during term time simple lunches are held in different houses within the parish from 12pm to 1:30pm. The £4 cost goes to charity serving the dual purposes of lively social contact for all ages (lifts can be arranged) and sums raised for good causes. All are welcome and if you would like to find out more information, or host a lunch in your home, please contact / 07747 804926 or phone the Parish Office on 020 8946 2605. For full and part-time carers of the elderly and those with dementia. We meet monthly for an hour and offer social, practical and spiritual support. Meetings begin with a cup of coffee and home-made cake to give carers an opportunity to relax and to talk with one another. Guests from a wide variety of specialties are invited to join us, to meet members over coffee and then to talk with the whole group. Meetings end with a short time of reflection and prayer. For further information please contact Reverend Cynthia Jackson or Shara Leonard (Southwark Pastoral Auxiliary): / 020 8946 2605. There is a group who meets for Bible Study on Monday mornings 11am-12pm in the Rose and Crown pub. This is a free session, suitable for all ages. We just ask that you buy a drink from the pub. The group is friendly, lively and challenging and the subjects discussed are very varied. Contact Catherine Linsley at for more details. 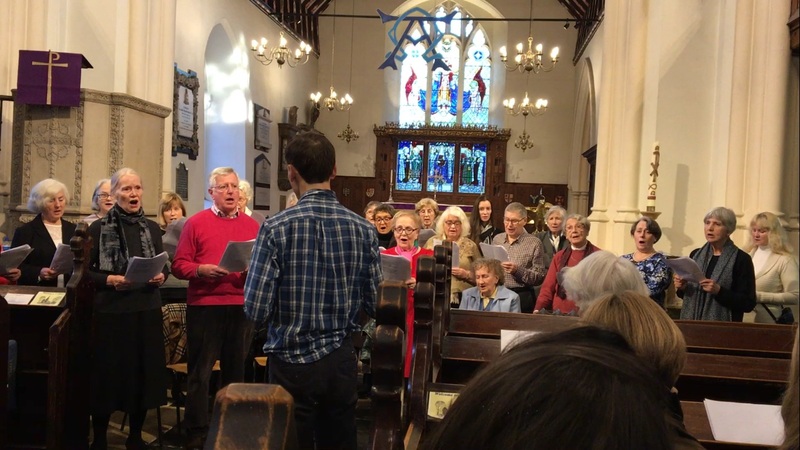 WOC (or Wimbledon Over 70's Choir) is an inclusive choir for anyone who enjoys singing a wide variety of music, from hymns and spirituals to folk songs and songs from the shows, in a friendly and supportive atmosphere. We practise in the church on Sunday afternoons 2:30pm - 3:30pm including a cup of tea. More details at wimbledonoldieschoir.co.uk, Facebook Wimbledon Oldies Choir, or email: .